Graduate Collection works with some of the most exciting new designers to emerge fresh from UK Universities. 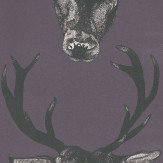 A stunning, bold, hand drawn black Stag panel design from Lisa Bliss on a rich, deep Plum purple coloured background. Available in Teal and a smaller scale. Paste the wall product. Please request sample for true colour match. 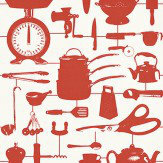 A delightful collection of kitchen inspired motifs – put together to create this unique design from Victoria Egg. Paste the wall product. Shown in the duckegg blue green colourway. Please request sample for true colour match. 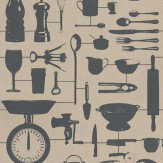 A delightful collection of kitchen inspired motifs – put together to create this unique design from Victoria Egg. Paste the wall product. Shown in the taupe beige colourway - also available in duck egg. Please request sample for true colour match. 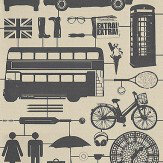 Celebrate all things British with some of our most iconic symbols such as the Black cab and London Buses in this quirky contemporary design from Victoria Eggs. Paste the wall product. Shown in the black on taupe colourway. Please request sample for true colour match. 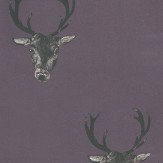 A stunning, bold, hand drawn black Stag panel design from Lisa Bliss on a rich, deep Plum purple coloured background. 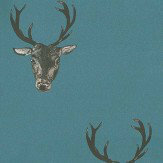 Available in Teal and as a larger scale design. Paste the wall product. Please request sample for true colour match. 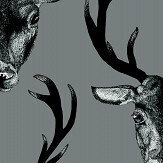 A stunning, bold, hand drawn black Stag panel design from Lisa Bliss on a rich, deep Teal coloured background. Small scale also available. Paste the wall product. Please request sample for true colour match. 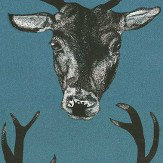 A stunning, bold, hand drawn black Stag design from Lisa Bliss on a rich, deep Teal coloured background. Larger scale also available. Paste the wall product. Please request sample for true colour match. 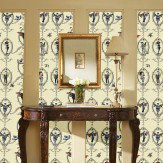 A little bit of Victorian pastiche with this quirky classical design with bizarre people and butterfly inspired motifs – a Pythonesque treat from the designer Melissa Braconnier. Paste the wall product. 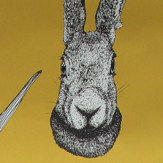 Shown in the black on pale yellow colourway. Please request sample for true colour match. Pattern repeat 125cm. 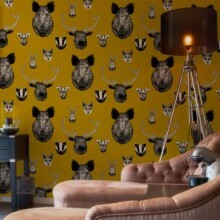 An all over wallpaper design, featuring hand drawn motif's of cute animals native to the British countryside of eras gone by! 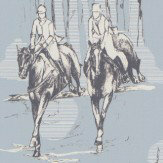 Add a touch of classic country charm to your home with this contemporary wallpaper. Shown here in the mustard colourway. Pattern repeat is 150cm. Please request a sample for a true colour match. Paste-the-wall product. 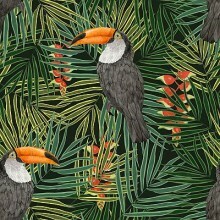 From the designer Alicia De Costa, a bright jungle leaf and bird of paradise flower design with stunningly, detailed Cockatoo bird motifs on a dark teal blue green background. Please request sample for true colour match. Also available in dark blue. Channeling Josephine Baker, this beautiful show girl design from Melissa Scott has delicate hand drawn feathers contrasting with the burlesque dancer figure in a controlled geometric pattern set against a tiny spot background. 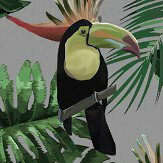 Shown here with pink feathers. Please request sample for colour match. Please note long pattern repeat 132cm. 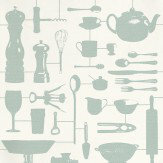 A delightful collection of kitchen inspired motifs – put together to create this unique design from Victoria Egg. Paste the wall product. Shown in the red colourway - other colours available. Please request sample for true colour match. 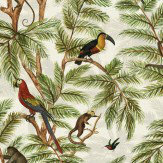 From the Natural World collection by Miki Rose, a beautiful jungle trail, with monkey, toucan, parrot and humming bird set amongst the leaves, with the feel of a Victorian collector's artwork. Please request sample for true colour match. Paste the wall product. 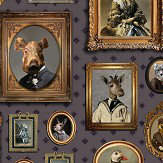 New designs for this season from the Graduate Collection - designs shown here include the designer and artist Charlotte Cory and reflect her love of Victoriana but with her own particular quirky look to these delightful vintage style montage wallcoverings and Laura Hyden with her dramatic Tiger and Cheetah jungle patterns. 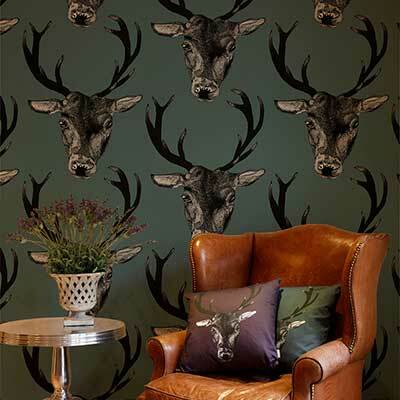 The newest additions to this fabulous brand, this new collection features wallpapers perfect for contemporary and traditional interiors alike! 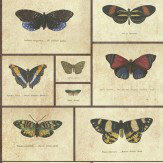 From a variety of talented designers, designs include an equestrian inspired motif, Victoriana birds eggs and birds creating your own cabinet of curiosities, and an American Diner design featuring a variety of traditional American foods. 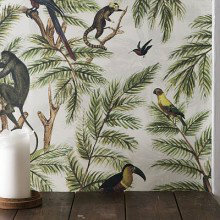 New for this season.....a collection of wallpapers with a jungle theme, inspiration ranging from Victorian era collectors, to contemporary conservation; bold butterflies to cute ring tailed lemurs peeping from exotic foliage - all designed to bring the wildness of Nature to your home. The Graduate Collection bring us some of the most exciting new designers to emerge fresh from UK Universities. 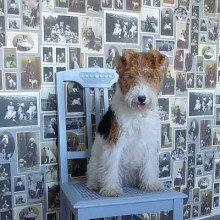 We are delighted to be able to showcase here a few of their beautiful, wallcoverings. 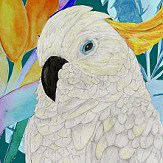 More will be added soon – so do have a look. Designed and Made in the UK.